Facial rejuvenation acupuncture is a treatment that works along with the body to restore health to the skin. This ancient Traditional Chinese Medicine practice was based on regulating internal systems to benefit facial complexion and appearance, combat aging and enhance vitality. Facial acupuncture is an effective practice for those seeking a natural way to enhance their appearance and overall internal and external health. · Helps eliminate & reduce under eye bags, facial swelling and discolourations. · Improves muscle tone, circulation & colour of the face. · Helps lift drooping eyelids, eyebrows, sagging cheeks and jowls. · Helps diminish fine lines & the appearance of large wrinkles. WHAT Age Is Best To Start Treatment? Most people that enjoy the benefits of FRA are in their 40s to 60s, however, there is no age for optimizing the appearance of your skin. Anyone that is looking to improve skin colour and texture, decrease the appearance of wrinkles, lift sagging skin or age gracefully would benefit from FRA treatments. If you’re looking for a quick fix, this is not it. FRA works with your body to bring health and beauty to your skin and face. Although changes can be seen and felt even after the initial treatment, anywhere from 8-12 weekly treatments are needed to bring more lasting changes to your skin and overall health. Fine sterile single-use disposable acupuncture needles are inserted into points throughout meridians on the face and body. Points are chosen specifically based on each patients’ constitution and overall health. A typical treatment will include anywhere from 40 – 70 needles per treatment placed in the feet, legs, abdomen, arms, hands, ears, face and scalp. Specific intradermal needles are inserted along wrinkles on the face. WHEN Is FRA Not Advisable? To rejuvenate your life, age gracefully, feel better and address issues with your skin. Everything from swelling, discolouration, drooping to wrinkles. Self care is an expression of self love, and an important part of looking and feeling your best. 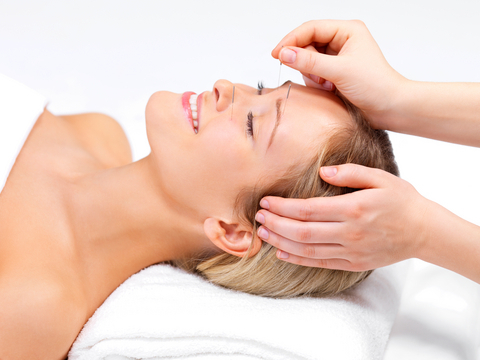 Facial rejuvenation acupuncture provides an avenue for you to nurture your body, mind and spirit. Initial treatment 90min: Includes an assessment of overall health, face & first acupuncture treatment. Foods, supplements, facial care will be discussed to enhance what is done during appointments. Naturopathic Foundations Health Clinic is excited to offer Facial Rejuvenation Acupuncture (FRA) to its current and new patients. Dr. Beata Skorka, ND is certified in Facial Rejuvenation Acupuncture. If you are unsure of whether you should receive FRA, please contact Naturopathic Foundations Health Clinic to book a free 20min assessment (905) 940-2727 or email Dr. Beata Skorka, ND at b.skorka@naturopathicfoundations.ca. The use of cell phones, tablets, computers and other electronic devices has multiplied dramatically over the last decade at work, school and at home. We are witnessing the first generation of children that are growing up with continuous screen exposure in their environment. While there are numerous benefits and conveniences of technology, we are beginning to realize the long term health implications of screen exposure. This is an area that is often overlooked and is best addressed in early years to set healthy patterns later in life. The prolonged use of cell phones in younger children is raising concerns on many fronts including the impact of electromagnetic radiation, sleep, posture and other problems. Behaviour issues, ADHD, impulsiveness and temper tantrums have all been linked to increased technology use and frustrated parents often resort to prescribed medications to help control the behaviour problems, leading to other side effects. The effects of electromagnetic radiation is largely underplayed but can have significant impact on health. Especially in children where the brain, skull and nervous system system are still developing and hence they are more vulnerable to radiation. We are just beginning to understand the effects of radiation on mucous membranes leading to gut permeability and digestive issues. While the effects of radiation may not be instantly noticeable, there are long term effects which may include digestive issues, mood changes, behavioural issues and more. Other concerns of technology use include neck & shoulder tension, leading to headaches and more serious concerns in children & adults alike. Eye strain and vision issues are directly related to the amount of screen exposure and radiation from electronics is raising concern. If your child is struggling with insomnia, restlessness, headaches, eye-strain, neck pain, digestive issues, low self-esteem or experiencing mood changes, speak to your naturopathic doctor to assess if digital technology is impacting their health, and what can be done to reduce the negative long-term impact. Despite claims that say that computer games will make your child smarter, the reality is that they only develop certain aspects of brain function, and it may not be well-rounded learning. Children who spend more time in front of a screen may develop increased restlessness, impulsiveness and decreased attention span. 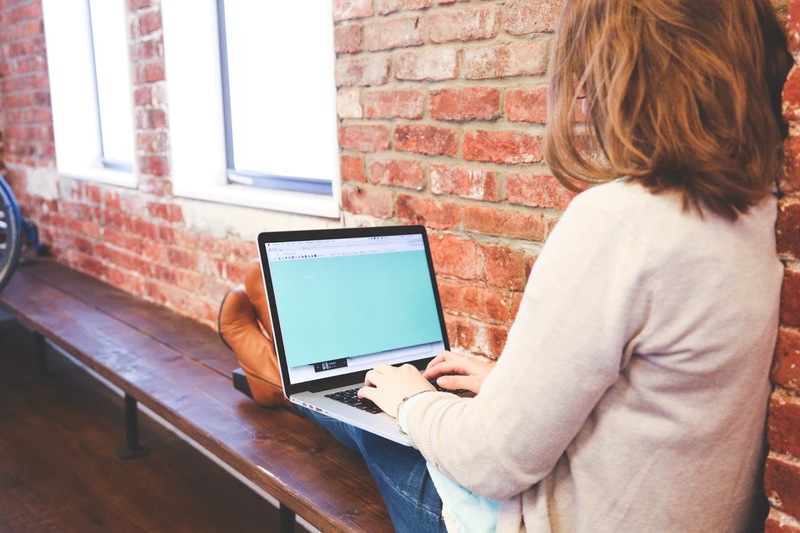 The ability to focus, pay attention to others and communicate with them with verbal & non-verbal cues can be reduced when replaced with too much time in front of a tablet or cell phone screen. Developmental concerns such as ADHD are on the rise, and naturopathic medicine can help support your child's nervous system and brain development through supplements such as fish oils, nervine herbs and a whole food diet. Especially in the first few years of life, a child's brain is sensitive and develops rapidly. They need a supportive environment to grow in a healthy manner. It is a known fact that the light emitted from electronic devices affect the brain. When it is dark outside at night, the body naturally produces melatonin, a hormone that helps you sleep. In the presence of blue light emitted from electronic screens, the body's production of melatonin declines making it more difficult to fall asleep and have a deep, restful sleep. If you (or your child) is having difficulty sleeping, ensure there is no screen time at least 1 hour before bedtime. Speak to your ND on options to filter blue light on your screens and other natural supports for a restful sleep. Children should not speak on cell phones directly as the radiation easily passes through to the brain and they should never sleep with cell phones or other electronics next to them due to the constant radiation that they emit. Ensure all gadgets are turned off at night such as wifi, cell phones and computers. Aim to keep all electronics that can't be turned off at least 3' away from you or your child. Most people struggle with healthy posture. In addition, when you are sedentary at a desk or fixated on a screen, your attention generally goes to what is happening "there" vs. "here" in your body. As an experiment, stand in public transit or in a public place and just notice how many people are looking at a screen and observe their posture. Chances are that you are in ta similar forward-bending posture during screen time, causing neck strain, raised shoulders and caved-in chest. When this posture is constantly repeated, your muscles begin to adjust to that posture. This results in chronic neck/shoulder pain, headaches, tendonitis and more. If left ignored for a long time, it can take longer to treat. Regular breaks and stretching can help reduce tension and bring awareness back to your body. There are various tools to help you with this as well as other naturopathic therapies to help release neck stiffness such as acupuncture, cupping and massage. More children are needing prescription glasses due to short-sightedness than 50 years ago, and struggling from headaches due to eye strain. When you look at any screen for long periods of time without a break, the eye muscles naturally begin to adjust permanently to focus on nearer objects, while diminishing the ability to see in the distance. You may naturally blink less often if you are engaged in what you are watching. When using any electronic device, ensure you take breaks frequently to look into the distance and rest your eyes. There are many naturopathic treatments for eye strain, and your ND can guide you on eye exercises & treatments to strengthen the eyes. Unfortunately, many young adults and children are struggling with anxiety, low mood and low self-esteem. Oftentimes, there is a clear link to excess technology use and mood. Children who spend more time on the computer, replacing live play time with other children and adults may have slower development with social skills and empathy. They may become more irritable and agitated and develop low self-confidence. Observe your child's behaviour and ensure valuable play time is not replaced with tv or computer for long periods of time. Parents needs to set rules for balanced screen time use so that children understand they can enjoy digital technology within a limit. To help you understand healthy technology use, below are guidelines by the Canadian Pediatric Society. What Can you Do to Reduce Negative Effects of Screen Time? As children and young adults return back to school, you need to help them understand reasonable limits for screen time. Parents can set a positive example of screen time, by taking breaks from electronic for mealtimes or family time to promote bonding. Based on age, you can set a limit of screen time for children per day so that everyone understands that these tools can be used, but within a certain limit. Avoid using cell phones as toys for infants & toddlers and use the speakerphone under supervision if it is necessary to speak with family members on the cell phone. Encourage activities outdoors and physical activity where children and adults can interact and socialize. Plan breaks at the computer desk to stretch, look into the distance, and set time aside in the evenings away from screens during family time. Dr. Leena Athparia is a naturopathic doctor with a special interest in muscle, joint pain-related issues and has additional training in Ayurvedic treatments, acupuncture & cupping therapy. Please contact Naturopathic Foundations at 905-940-2727 or email lathparia@naturopathicfoundations.ca to book an appointment with Dr. Leena Athparia ND. If you would like to hear her speak more on this topic, she will be speaking at the Ayurvedic Conference in Toronto at the Canadian College of Naturopathic Medicine Oct 21-22, 2017.